In today’s business world, far too many gym owners make the mistake of throwing away thousands of dollars a year on paid advertisements or marketing campaigns that only offer a small or minimum return on investment. That might be acceptable if you’re a large fitness corporation, but if you’re like most small business owners you only have a small budget to work with each year. One wrong move could waste thousands of dollars in with nothing to show for it. As a small business owner, you need to be able to look for innovative ways to fully capitalize on each and every investment to not only grow your business but to sustain it as well. Remember that your existing client base and their recurring revenue is the lifeline of your business! One way to reward your current members and to help bring in new foot traffic to your box is to establish a referral program. 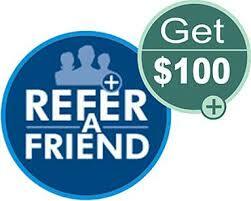 Reward your athletes for each referral with a membership discount, cash pay-out, or with a free t-shirt. To help promote this program and to get your clients actively participating, offer free Saturday morning classes and open your box up to your community. Tell your clients to bring in their friends, co-workers, or family members for a fun, high energy workout designed for all fitness levels. This will not only help to generate new sales but it will give you some additional exposure and will create brand awareness within your local community. Another step that you can take to promote loyalty and increase sales at your box is to implement a gift & loyalty card program. Create a points system for each attended class, PR, or purchase at your box. 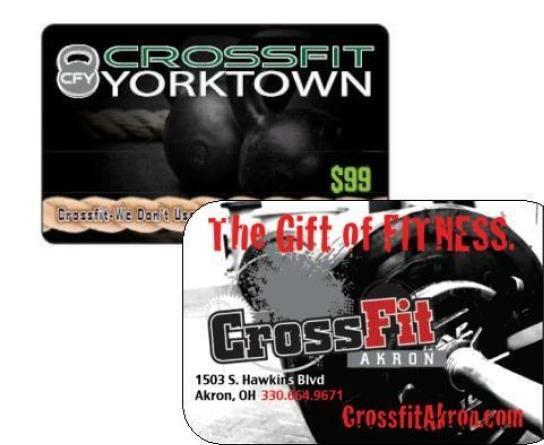 Record and assign points for each member’s purchase for t-shirts, fitness gear, or supplements. By establishing a points system for your clients; you can motivate your athletes to receive membership discounts, free giveaways, or to reach targeted fitness goals while simultaneously keeping them engaged and loyal to your program. Also, by establishing a gift and loyalty program at your box you will encourage your athletes to spend more and to buy more frequently at your box, which will in turn increase revenue and drive new sales. Plus, with all the sales data you can better track and analyze key purchasing trends within your box so that you can better focus on what best resonates with your clients. Another way to help establish loyalty to your fitness program and keep your members around longer is to implement an effective EFT program. Rather than taking a one-time payment up-front and watching your athlete walk out the door next month, offer a membership discount for your athletes that sign up for monthly EFTs. 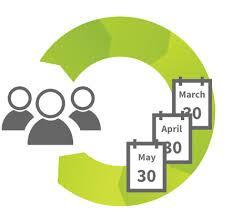 Remember that over the length of time, EFTs will generate a 30% greater economic return then contracts Paid in Full. Although you might be taking a small hit up front by providing a modest discount in exchange for a monthly commitment, over the course of time all the recurring revenue and extra impulse purchases will help to create a healthier flow of revenue for your box. By establishing an effective Loyalty program and offering the convenience of recurring EFT billing, you will able to keep your client base happy, promote your brand within your community, and most importantly help bring in new members to your box! The goal is to create a WIN-WIN for everyone! Plus, remember that the best part about deploying this strategy is that it costs you next to nothing to implement!